Lyndon Baines Johnson (August 27, 1908 – January 22, 1973), often referred to as "LBJ," was the 36th President of the United States (1963–1969). After a long career in the U.S. Congress, Johnson became the thirty-seventh vice president on a ticket with Massachusetts Senator John F. Kennedy in the 1960 election. In November 1963, Johnson succeeded to the presidency following the assassination of President Kennedy. Johnson was an important leader of the Democratic Party, and, as president, attempted to institute the "Great Society," which included the passage of key civil rights legislation, Medicare and Medicaid, and a major "War on Poverty." His presidency was marred by the escalation of the war in Vietnam. Johnson was elected in a landslide in 1964, but due to low support from both his party and the general public, he announced he would not run again in 1968. 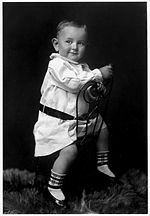 Lyndon Johnson was born in Stonewall, Texas, on August 27, 1908, in a small farmhouse in a poor area on the Pedernales River. His parents, Samuel Ealy Johnson and Rebekah Baines, had three girls and two boys: Lyndon and his brother, Sam Houston Johnson, and sisters Rebekah (1910-1978), Josefa (1912-1961), and Lucia (1916-1997). Johnson attended public schools and graduated from Johnson City High School in 1924. (Johnson City, near his birthplace, was named after Johnson's grandfather, Sam Ealy Johnson, whose forebears had moved west from Georgia.) In school, he was described as an awkward, talkative youth with a tendency to lie; regardless, he was elected president of his eleventh-grade class. After graduating from college and prior to entering politics, Johnson briefly taught public speaking and debate in a Houston high school. Johnson's father had served five terms in the Texas legislature and was a close friend to one of Texas' rising political figures, Congressman Sam Rayburn. In 1931 Johnson campaigned for Texas state senator Welly Hopkins in his run for Congress. Hopkins rewarded Johnson by recommending him to congressman Richard Kleberg. Johnson was then appointed as Kleberg's legislative secretary and elected the youngest speaker of the "Little Congress," a group of Washington legislative aides. Johnson used the little-known group to further his political career. Being speaker of the "Little Congress" gave Johnson the excuse he needed to meet with and invite leaders to the group's events. He was also able to cultivate certain media contacts and attention through the group. As secretary, Johnson became acquainted with people of influence, found out how they had reached their positions, and gained their respect for his abilities. Johnson's friends soon included some of the men who worked around President Franklin Delano Roosevelt, as well as fellow-Texans such as Roosevelt's first Vice President John Nance Garner. His strongest contact would be the fierce Speaker of the House, Sam Rayburn. Although by nature Rayburn was an insular man, Caro believed that Johnson turned into a "Professional Son" for Rayburn, a man who had no family. In 1935, Johnson became the head of the Texas National Youth Administration, which enabled him to use government to create educational and job opportunities for young people. The position let him build political pull with his constituents. During this time of his life and throughout his career, Johnson was a notoriously tough boss, often demanding long workdays and continued work on the weekends from his staffers. He resigned two years later to run for Congress. In 1937 Johnson successfully ran for a seat in the u.S. House of Representatives to represent the 10th Congressional District in Texas, a district that included Austin, Texas, and the surrounding Hill Country. He ran on a New Deal platform and was effectively aided by his wife, Lady Bird Johnson. President Roosevelt often ignored Johnson early in his career, but the president would later find Johnson to be a welcome ally and conduit for information, particularly with regard to issues concerning internal politics in Texas and the machinations of Vice President Garner and House Speaker Sam Rayburn. 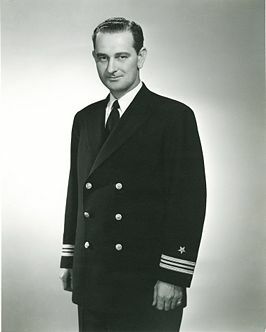 Johnson was immediately appointed to the Naval Affairs Committee, a job that carried high importance for a freshman congressman. He also worked for rural electrification and other improvements for his district. With his strong influence within the White House, Johnson was able to steer the projects towards contractors whom he personally knew. In gratitude, these contractors, like Brown & Root (now a component of Halliburton), would finance much of Johnson's future career and prosper during World War II and the Vietnam War. In 1941 Johnson ran for the U.S. Senate in a special election against the sitting governor of Texas, radio personality W. Lee "Pappy" O'Daniel. Johnson was not expected to win against the popular governor, but he ran a strong race and was declared the winner in unofficial returns. Johnson ultimately was defeated by controversial official returns in an election marked by massive fraud on the part of both campaigns. During his last campaign, he promised that he would serve in the military should war break out; in December 1941, the U.S. entered World War II and Johnson's promise was put to the test. On June 20, 1940, the Burke-Wadsworth bill was introduced in Congress to institute the first peacetime draft. The very next day, Congressman Johnson received his appointment in the Naval Reserve, which would exempt him from the draft—the bill was signed into law in September as the Selective Service and Training Act of 1940, initiated in November. After the United States entered the war a year later, Johnson asked Undersecretary of the Navy James Forrestal for a noncombatant assignment; Forrestal complied, and Johnson was sent to inspect the shipyard facilities in Texas and on the West Coast. By the spring, Johnson’s constituents in Texas were eager to hear about their Congressman's activities on the war front. In addition, he was looking to fulfill his 1940 campaign pledge to "fight in the trenches" should America enter the war, so he again pressed his contacts in the administration to find a new assignment, this time closer to a combat zone. President Roosevelt needed his own reports on what conditions were like in the Southwest Pacific—he felt information that flowed up the military chain of command needed to be supplemented by a highly trusted political aide. From a suggestion by Forrestal, Roosevelt assigned Johnson to a three-man survey team of the Southwest Pacific. Johnson left for Melbourne, Australia, and reported to Gen. Douglas MacArthur. The observers were sent to Garbutt Field in Queensland, home of the 22nd Bomb Group. The bombers' missions targeted the Japanese air base at Lae on the conquered part of the island of New Guinea. The military commanders felt that there was no need for outside observers—underscoring Roosevelt's point—but Johnson insisted. Japanese Zero fighter planes attacked the B-26s on which he and the others flew during the mission; of the three, one plane was shot down and lost; the plane Johnson was on developed engine trouble and turned back. 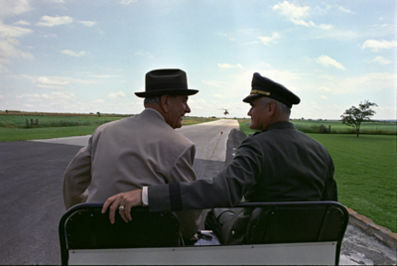 Upon returning safely to Melbourne and reporting back to MacArthur, the general awarded Lyndon Johnson and the other surviving observer the Silver Star, the military's third-highest medal. Based on his observations, Johnson reported to Roosevelt, the navy leaders, and to Congress that conditions were deplorable and totally unacceptable. Using all his persuasive skills, Johnson argued that the Pacific theater urgently needed a higher priority and a bigger share of war supplies. In his opinion, the warplanes sent there, for example, were "far inferior" to Japanese planes, and overall troop morale was bad. On July 16, he told Forrestal the Pacific Fleet had a "critical" need for 6,800 additional experienced men. Johnson prepared a twelve-point program to upgrade the entire effort in the region, stressing "greater cooperation and coordination within the various commands and between the different war theaters." House leadership responded by making Johnson chairman of a high-powered subcommittee of the Naval Affairs committee. With a mission similar to that of the Truman Committee in the Senate, he probed into the peacetime "business as usual" inefficiencies that permeated the entire naval war, and demanded admirals shape up and get the job done. Johnson went too far when he proposed a bill that would crack down on the draft exemptions of shipyard workers if they had too many abstentions. Organized labor blocked the bill immediately and denounced Johnson. Although some of his hard-driving tactics ruffled feathers and made enemies, Johnson's mission had a significant impact in upgrading the South Pacific theater in Washington's calculations and in helping along the entire naval war effort. Some of his political enemies charged that Johnson's efforts during the war and immediately afterward were trivial and self-promoting. A month after this incident, President Roosevelt ordered members of Congress serving in the military to return to their offices. Of eight members then serving, four agreed to resign from the armed forces; four resigned from Congress. Johnson returned to Washington, and continued to serve in the House of Representatives through 1949. As Johnson's biographer concludes, "The mission was a temporary exposure to danger calculated to satisfy Johnson's personal and political wishes, but it also represented a genuine effort on his part, however misplaced, to improve the lot of America's fighting men." In 1948 Johnson again ran for the Senate, this time successfully. 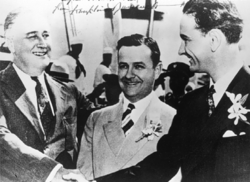 This election was highly controversial: a three-way Democratic Party primary left Johnson in a run-off with former governor Coke Stevenson, who was a popular figure. Johnson was hindered during the campaign due to an illness caused by a kidney stone. In an effort to catch Stevenson, Johnson financed the purchase of his own personal helicopter dubbed "The Flying Windmill." The then-new device was able to draw crowds around the state while Johnson personally attacked his opponent through his speeches. Despite a hard-fought campaign, Johnson won the Senate seat by only 87 votes out of one million cast. Stevenson contested the vote count, alleging that Johnson's campaign manager, John Connally, was connected with 202 ballots in Duval County that had curiously been cast in alphabetical order. In his 1989 book, Means of Ascent, Robert A. Caro argues that Johnson had not only rigged ballots in Duval County, but at least ten thousand ballots in Bexar County as well. In the federal court case arising from the election, Johnson hired Abe Fortas, his future appointment to the U.S. Supreme Court, to represent him. Fortas persuaded Supreme Court justice Hugo Black to dissolve the federal injunction nullifying Johnson's runoff victory. Johnson went on to win the general election, but the Texas media sardonically nicknamed him "Landslide Lyndon" in reference to the closely decided contest with Stevenson. After winning the disputed Democratic nomination, Johnson defeated Republican Jack Porter, 702,985 (66.7 percent) to 349,665 (33.3 percent). Once in the Senate, Johnson sought power for himself immediately after taking his seat through highly successful "courtships" of older senators, especially Senator Richard Russell, Jr., patrician leader of the Conservative coalition and arguably the most powerful man in the Senate. Johnson, always at his best when working one-on-one, proceeded to gain Russell's favor in the same way as he had "courted" Speaker Sam Rayburn and gained his crucial support in the House. Johnson was first appointed to the Armed Services Committee, and, later in 1950, he helped to create the Preparedness Investigating Subcommittee. Johnson became its chairman and conducted a number of investigations of defense costs and efficiency. These investigations—couched in headline-grabbing phraseology but largely devoid of substance—tended to recycle old investigations and demand actions that were already being taken by the Truman administration. However, Johnson's brilliant strategic leaks, his overall manipulation of the press, the incredible speed at which his committee issued the "new" reports, and the fact that he ensured every report was endorsed unanimously by the committee all got him headlines and national attention. In 1953 Johnson was chosen by his fellow Democrats to be the minority leader, thus becoming the youngest man ever named to the post by either major political party. One of his first actions was to eliminate the seniority system in appointment to a committee, while retaining it in terms of chairmanships. In 1954 Johnson was re-elected to the Senate and became majority leader after the Democrats reclaimed a majority of Senate seats. His duties included scheduling legislation and helping to pass measures favored by the Democrats as leader of his party in the Senate. He, Rayburn and President Dwight D. Eisenhower worked smoothly together in passing Eisenhower's domestic and foreign agenda. Historians Caro and Robert Dallek both consider him the most effective Senate majority leader in history. Johnson's success in the Senate made him a possible Democratic presidential candidate and raised his national visibility. He was Texas' "favorite son" candidate at the party's national convention in 1956, and in 1960 Johnson received 409 votes on the first and only ballot at the Democratic convention that nominated John F. Kennedy. Doris Kearns Goodwin writes in her 1976 biography of Johnson that he "never really got to the point of running a full-fledged campaign for the Presidential nomination because he was "[i]nsecure about his legitimacy as a national politician" and "terrified at losing his prestige in the Senate." During the convention, Kennedy designated Johnson as his choice for vice president. Some later reports (one from Arthur Schlesinger Jr., for example) say that Kennedy offered the position to Johnson as a courtesy and did not expect him to accept. Others (such as W. Marvin Watson) argue that the Kennedy campaign needed Johnson on the ticket to help carry the Southern states necessary to defeat Republican nominee Richard Nixon. Johnson probably accepted the offer of the vice presidency thinking that he would have an influential role in the new administration. After the election, however, Johnson was relatively powerless, especially compared to the power that he had enjoyed in the Senate. Kennedy and his senior advisers rarely consulted the vice president, and they prevented him from assuming the vital role that the previous vice president, Richard Nixon, had played in energizing the state parties. Kennedy appointed him to nominal jobs such as head of the President's Committee on Equal Employment Opportunities, through which he worked with African-Americans and other minorities. Johnson also took on numerous minor diplomatic missions, which gave him some limited insight into international issues. He was also allowed to observe Cabinet and National Security Council meetings. Control of space… means control of the world…. There is something more important than the ultimate weapon. That is the ultimate position—the position of total control over earth that lies somewhere in outer space…and if there is this ultimate position, then our national goal and the goal of all free men must be to win and hold that position. From his experience with the space program, he knew that Project Apollo was feasible but only by boosting NASA's budget; he successfully lobbied Congress to fund a crash program for landing an American on the moon. Two hours after President John F. Kennedy was shot and killed two cars in front of him in a Dallas, Texas motorcade, Johnson was sworn in as President on Air Force One at Love Field Airport on November 22, 1963. He was sworn in by federal judge Sarah T. Hughes, a very close friend of his family, making him the first President sworn in by a woman. He is also the only President to have been sworn in on Texas soil. Johnson was not sworn on a Bible, as none could be found aboard Air Force One; a Roman Catholic missal was discovered in Kennedy's desk, and this book was used during the swearing-in ceremony. To investigate Kennedy's murder, Johnson created a special panel called the Warren Commission. This panel, headed by Chief Justice Earl Warren, conducted hearings about the assassination and concluded that Lee Harvey Oswald did indeed shoot the President without conspiring with anyone. Not everyone agreed with the Commission, however, and numerous public and private investigations continued for decades after Johnson left office. The wave of national grief following the assassination gave enormous momentum to Johnson's promise to carry out Kennedy's programs. He retained the senior Kennedy appointees, some for the full term of his presidency. Even the late President's brother, Attorney General Robert F. Kennedy, with whom Johnson had an infamously difficult relationship, remained in office until leaving in 1964 to run for the Senate. On September 7, 1964, the Johnson campaign broadcast the revolutionary "Daisy ad." In the ad, a young girl picks petals from a daisy and counts up to ten. A baritone voice took over, counted down from ten to zero and a nuclear bomb exploded. The message was that a Goldwater victory meant nuclear war and the subsequent destruction of the United States. The commercial helped to escalate the rhetoric of American politics and to guide Johnson and the Democrats to a sweeping landslide victory that defeated many conservative Republican congressmen, giving Johnson a majority that could overcome the conservative coalition. In the 1964 election, Johnson won the presidency in his own right with 61 percent of the vote and by the widest popular margin in American history—more than 15,000,000 votes. No president before or since has received a greater percentage of the popular vote. However, 1964 was also the year that Johnson supported the conservative Democratic delegates from Mississippi and denied the Mississippi Freedom Democratic Party seats at the 1964 Democratic National Convention in Atlantic City, New Jersey. To appease the Mississippi Freedom Democratic Party (MFDP), the convention offered the MFDP an unsatisfactory compromise; the MFDP rejected it. As a result, Johnson lost the popular vote to Republican challenger Barry Goldwater in the Deep South states of Louisiana, Alabama, Mississippi, Georgia, and South Carolina, a region that had voted for Democrats since Reconstruction. In his first year as president, Johnson faced conflicts with everyone from Senators to speechwriters who wanted to honor Kennedy's legacy, but were reluctant to support new propositions from the new president. Johnson used his famous charm and strong-arm tactics to push through his new policies. 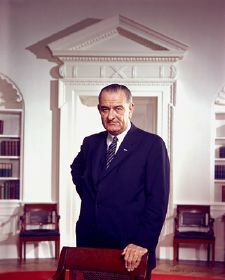 In 1964 for example, upon Johnson's request, Congress passed a tax-reduction law and the Economic Opportunity Act, which was in association with the War on Poverty. Johnson also hired Jerri Whittington, the first African-American White House secretary, and appointed Jack Valenti as his "special assistant." The Great Society program became Johnson's agenda for Congress in January 1965: aid to education, attack on disease, Medicare and Medicaid, urban renewal, beautification, conservation, development of depressed regions, a wide-scale fight against poverty, control and prevention of crime, and removal of obstacles to the right to vote. Congress, at times augmenting or amending, rapidly enacted Johnson's recommendations. Millions of elderly people found succor through the 1965 Medicare amendment to the Social Security Act. Under Johnson, the country made spectacular explorations of space in a program he had championed since its start. When three astronauts successfully orbited the moon in December 1968, Johnson congratulated them: "You've taken … all of us, all over the world, into a new era…"
Nevertheless, two overriding crises had been gaining momentum since 1965. Despite the beginning of new anti-poverty and anti-discrimination programs, unrest and rioting in black ghettos troubled the nation. President Johnson steadily exerted his influence against segregation and on behalf of law and order, but there was no easy solution. Several changes were made during the Johnson administration to relieve the hostile political atmosphere. 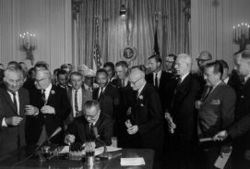 In response to the civil rights movement, Johnson signed the Civil Rights Act of 1964, which effectively outlawed most forms of racial segregation, and the Immigration and Nationality Services Act of 1965, which dramatically changed U.S. immigration policy. He also nominated former civil rights attorney Thurgood Marshall of Brown v. Board of Education fame to the positions of Solicitor General and later Associate Justice of the Supreme Court, making him the first African-American to serve in either capacity. The war in Vietnam posed another crisis to Johnson's administration. Despite President Johnson's efforts to end the communist insurgency in South Vietnam and to achieve a settlement, fighting continued throughout his terms in office. Controversy over the war had become acute by the end of March 1968, when he limited the bombing of North Vietnam in order to spur negotiations. "If we allow Vietnam to fall, tomorrow we’ll be fighting in Hawaii, and next week in San Francisco… "
Despite his fear of communist encroachment, Johnson was more afraid that a focus on Vietnam would distract attention from his Great Society programs, so the levels of military escalation, while significant, were never enough to make any real headway in the war. Contrary to his wishes, Johnson's presidency was soon dominated by the Vietnam War. As more and more American soldiers and civilians were killed in Vietnam, Johnson's popularity declined, particularly in the eyes of young people. Massive anti-war protests swept across the country during the end of his second term. During these protests, students would often burn their draft cards and chant the slogan, "Hey, hey, LBJ, how many kids will you kill today?" In what was termed an October surprise just prior to the presidential election, Johnson announced to the nation on October 31, 1968, that he had ordered a complete cessation of "all air, naval, and artillery bombardment of North Vietnam" effective November 1, should the Hanoi Government be willing to negotiate and citing progress with the Paris peace talks. During the final year of his presidency, Johnson couldn't travel anywhere without facing protests, particularly concerning the war. On March 31, 1968, he shocked the country by stating that he would not run for re-election: "I shall not seek, and I will not accept the nomination of my party for another term as your president." (Text and audio of speech) Several days before, a poll announced that a mere 29 percent of the American public supported the war. What had started out as a presidency filled with hope and promise ended under the black cloud of widespread protests and civil disorder. Under the 22nd Amendment, Johnson was still eligible for a second full term, having served less than two years of Kennedy's term. 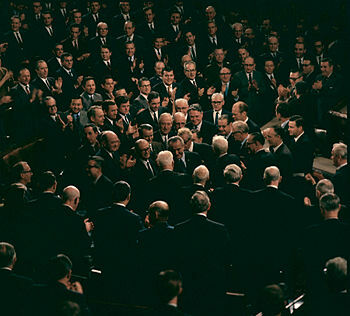 However, on March 31, 1968, after the demoralizing Tet Offensive, a narrow victory over Eugene McCarthy in the New Hampshire primary, the entry of Robert F. Kennedy into the presidential race, and new lows in the opinion polls, he announced, in an address to the nation, that he would no longer seek nomination for the presidency. The Democratic nomination eventually went to Johnson's vice president, Hubert H. Humphrey, who was defeated by Richard Nixon in the 1968 election. After leaving the presidency in 1969, Johnson retired to his ranch near Johnson City, Texas. In 1971 he published his memoirs, The Vantage Point. That year, the Lyndon Baines Johnson Library and Museum opened on the campus of the University of Texas at Austin. It is the most visited presidential library in the United States. Johnson died at his ranch on January 22, 1973, from his third heart attack, at the age of 64. His health had been ruined by years of heavy smoking, eating, and consumption of alcohol, and stress; resulting in severe heart disease. He was found in his bed, reaching for his phone. The state funeral was held January 25, 1973 at the National City Christian Church, in Washington, D.C., where he often worshiped while president. The service, which many foreign dignitaries attended, was the first presidential funeral to feature a eulogy. They came from former White House Chief of Staff, and Postmaster General W. Marvin Watson, and the church's rector, Rev. Dr. George Davis, a very close friend of the Johnsons. Though he attended the service, Richard Nixon, presider of the funeral, did not speak, as customary for presidents during presidential funerals. Johnson was buried that afternoon at his ranch in Texas. The eulogies there were delivered by former Texas Democratic governor John Connally, a Johnson protégé and fellow Texan, and by the minister who officiated the services, Rev. Billy Graham. Anita Bryant closed the services by singing "The Battle Hymn of the Republic," paying tribute to her friendship with the former president, at his own request. Connally's eulogy gripped millions of viewers around the world, recalling the 1963 Kennedy assassination in which the governor was wounded, the tragic event that elevated Johnson to the presidency. Johnson's state funeral was the last until Ronald Reagan's in 2004. As is the case with his life in general, Johnson's legacy is very complex. In congressional matters, Johnson was unquestionably successful. He exercised power as no Senate majority leader had before him, and he was instrumental in the passage of key civil rights and Great Society legislation. As president, however, Johnson will be forever associated with the U.S. failure in the Vietnam War and the tens of thousands of American deaths that occurred there. Although the struggle for progressive change is continuous, there are times when a watershed is reached—when there is—if not really a break with the past—at least the fulfillment of many of its oldest hopes, and a stepping forth into a new environment, to seek new goals. I think the past five years have been such a time. Voting rights and the voting booth that we debated so long back in the riffles, and the doors to public service, are open at last to all Americans regardless of their color. 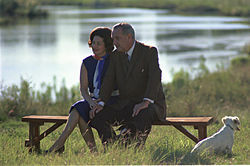 Johnson donated his Texas ranch in his will to the public to form the Lyndon B. Johnson National Historical Park, with the proviso that the ranch "remain a working ranch and not become a sterile relic of the past." The Manned Spacecraft Center in Houston was renamed the Lyndon B. Johnson Space Center. Texas created a legal state holiday to be observed on August 27 to mark LBJ's birthday; it is known as Lyndon Baines Johnson Day. The Lyndon Baines Johnson Memorial Grove on the Potomac was dedicated on September 27, 1974. Johnson was posthumously awarded the Presidential Medal of Freedom in 1980. During his tenure as Richard Kleberg's legislative secretary, Johnson met Claudia Alta Taylor (generally known as Lady Bird), a young woman from Karnack, Texas. After a short, 24-hour courtship, Johnson proposed—and the two were married on November 17, 1934. The couple later had two daughters, Lynda Bird, born in 1944, and Luci Baines Johnson, born in 1947. President Johnson was a member of the "Christian Church," also called the "Disciples of Christ." Johnson had been exposed to the preaching and teaching of his mother's Baptist congregation; however, he independently decided that the beliefs of the Disciples were in accord with his own views, and, on that basis, he became, and remained, a member of the Disciples of Christ. The president considered the First Christian Church in Johnson City as his "home church." In Washington, D.C., he regarded the National City Christian Church as his "home church," and he frequently worshiped there. President Johnson would frequently attend services at churches of different denominations. He would accompany Mrs. Johnson (an Episcopalian), often worshiping at St. Mark's Episcopal Church in Washington, D.C. He would also attend the Mass at Catholic churches with his daughter Luci. While often going to his own church in Texas, the First Christian Church, he also attended Trinity Lutheran Church and Saint Francis Xavier Church, both in Stonewall, Texas. Johnson frequently quoted the Bible to illustrate points that he wanted to make. His favorite quotation was from Isaiah 1:18, "Come now, and let us reason together." ↑ Lyndon Baines Johnson, Remarks at the signing of the Higher Education Act of 1965, . Lyndon B. Johnson Library and Museum.. Retrieved September 5, 2008. ↑ R. Dallak. Lone Star Rising: Lyndon Johnson and His Times, 1908-1960. (New York: Oxford University Press, 1991. ISBN 0195054350), 237. ↑ R. Dugger. The Politician: The Life and Times of Lyndon Johnson. (New York: W. W. Norton & Co., 1984. ISBN 039301598X), 311. ↑ D. Kearns Goodwin. Lyndon Johnson and the American Dream. (New York: St. Martin's Griffin, 1976. ISBN 0312060270), 160. ↑ Kearns Goodwin, 1976, 145. ↑ LBJ Library and Museum, . Retrieved September 5, 2008. Transcribed recordings of Johnson's telephone calls. A summary of poll data. Public Papers of the Presidents of the United States: Lyndon B. Johnson. 10 vols. Government Printing Office, 1965-1970. A complete record of speeches and official statements. White, Theodore H. 1965. The Making of the President, 1964. Barrett, David Marshall. Advice and Dissent: An Organizational Analysis of the Evolution of Lyndon Johnson's Vietnam Advisory System, 1965-1968. University of Notre Dame, 1990. Casey, Francis Michael. The Vietnam Policy of President Lyndon Baines Johnson in Response to the Theory of the Protracted Conflict as Applied in the Politics of Indochina: A Case Study of Threat Perception and Assessment in the Crisis Management Process of a Pluralistic Society. Claremont Graduate School, 1976. Cherwitz, Richard Arnold. The Rhetoric of the Gulf of Tonkin: A Study of the Crisis Speaking of President Lyndon B. Johnson. Iowa City, IA: University of Iowa, 1978. Goodnight, Lisa Jo. The Conservative Voice of a Liberal President: An Analysis of Lyndon B. Johnson's Vietnam Rhetoric. Purdue University, 1993. Logevall, Fredrik Bengt Johan. Fear to Negotiate: Lyndon Johnson and the Vietnam War, 1963-1965. Yale University, 1993. Turner, Kathleen Jane. The Effect of Presidential-Press Interaction on Lyndon B. Johnson's Vietnam War Rhetoric. Purdue University, 1978. Inaugural Address The Avalon Project at Yale Law School. History of "Lyndon Baines Johnson"